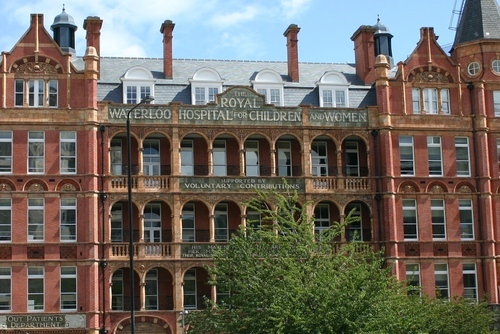 The Royal Waterloo Hospital for Children and Women in London (on the corner of Waterloo Bridge Road and Stamford Street) was founded in 1816 as the Universal Dispensary for Children. 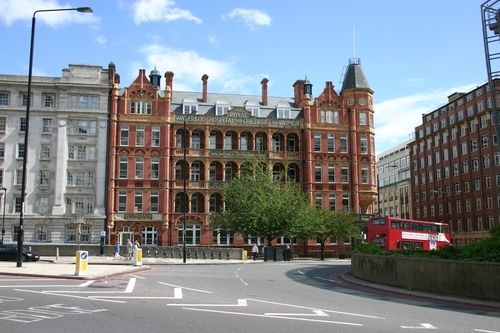 Charles West, the 'father of British pediatrics', worked in it from 1842 to 1849 trying unsuccessfully to convert it into a real children's hospital1. 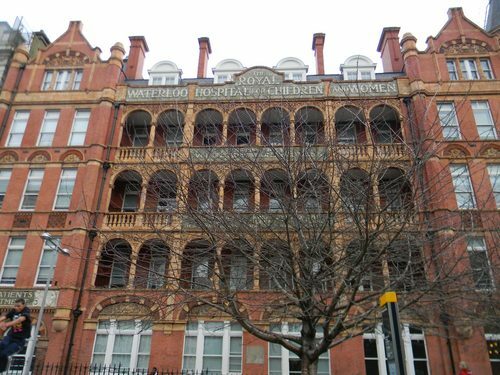 The Royal Waterloo Hospital closed on the 27 July 1976. 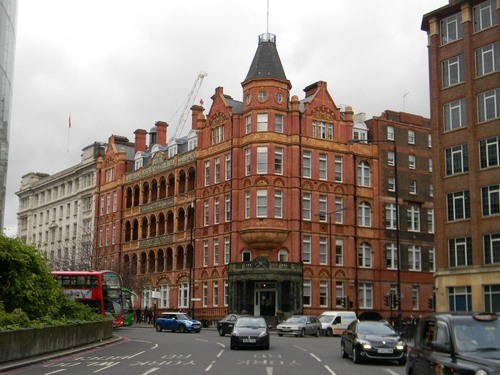 In 1981 the building was sold and became the central London campus of Schiller International University2. 1. See W.F.Bynum and Helen Bynum, Dictionary of medical biography, Greenwood Press, Westport (CT) 2007, vol. 5, p. 1297. 2. See Hospital's page on Wikipedia.